No matter the fitness level, there is something for everyone. Be in a community that allows you to explore your boundaries and have fun while doing so. Life is serious enough, learn to let go a little. Book your massage here in the studio! Intra Run Club started in Nov 2015. 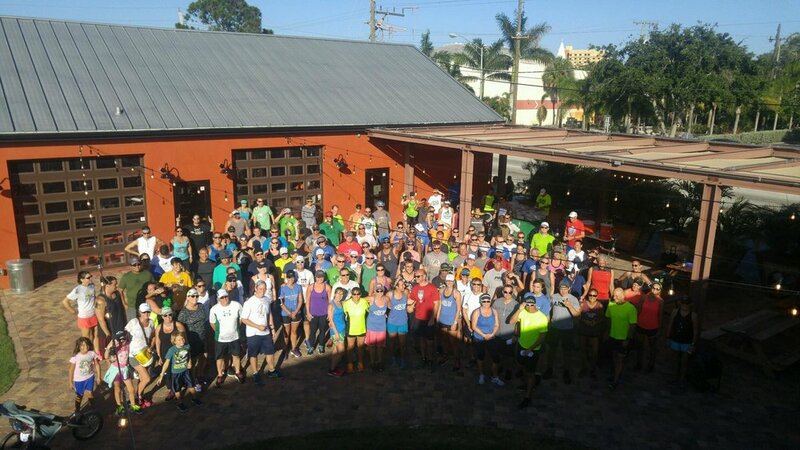 We start our 1 mile or 3 mile route at Intracoastal Brewing Company. We run/jog/walk over the Eau Gallie Causeway and make it back to enjoy a tasty beverage together. The run is every Wednesday at 5:30pm. Once we SPRING FORWARD the run changes to 5:45pm. Sign up now Every 10 runs receive a free beer. Intra Run Club, Yoga @ Intra and Namaste for One More are located at Intracoastal Brewing Company.